Today Bronwyn will be joined by Providence Mayor Jorge Elorza who will be discussing the successful first annual Providence International Arts Festival and the city’s plans for next year. Then we will be speaking with Winfield Danielson III and Joanne Cardoza from the Providence VA, they will be discussing their upcoming open house being held from 10 a.m. to 2 p.m. on Saturday, June 27, 2015. Representatives will be on-hand to provide information about opportunities to serve Veterans, and to provide an opportunities for Veterans from Rhode Island and southeastern Massachusetts who have not enrolled with the VA to take a brief tour, learn about what we have to offer, and fill out an enrollment application. 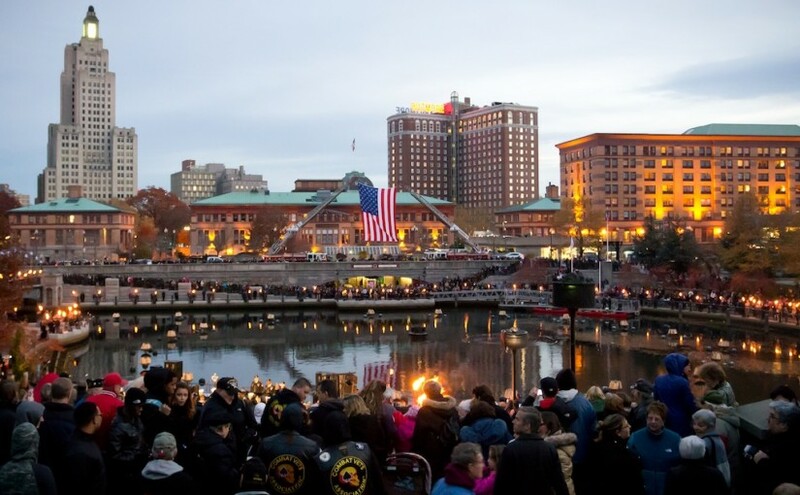 Episode 31 – Broadcast: June 17th, 2015 | Featured image by Jessica Ho from the 2013 WaterFire Salute to Veterans viaWaterFire Providence on Flickr.